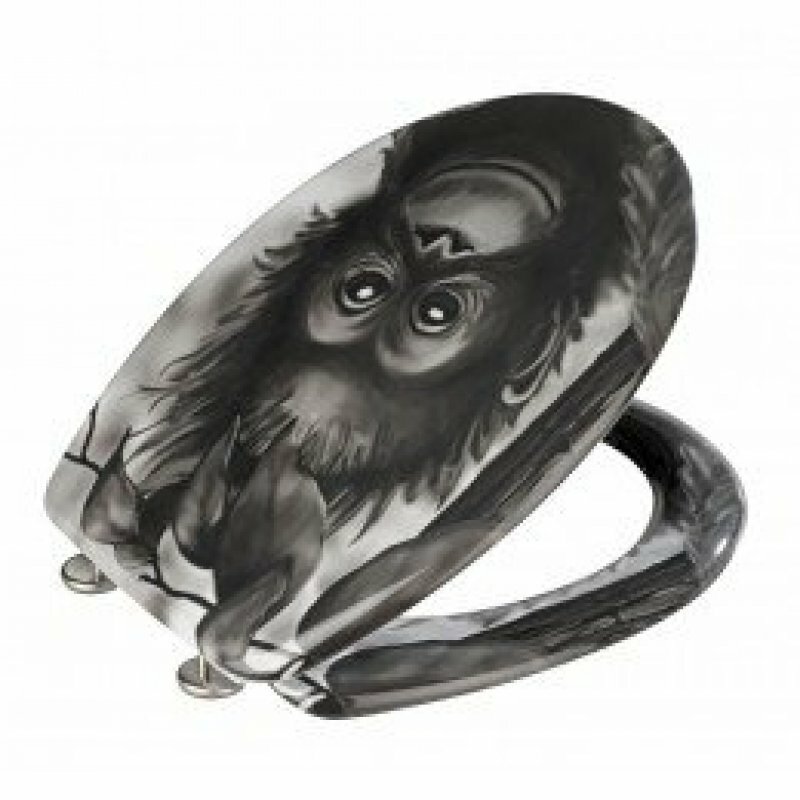 When nature calls, you'll feel a little closer to nature if you have this adorable Wenko Monkey Toilet Seat in your bathroom. 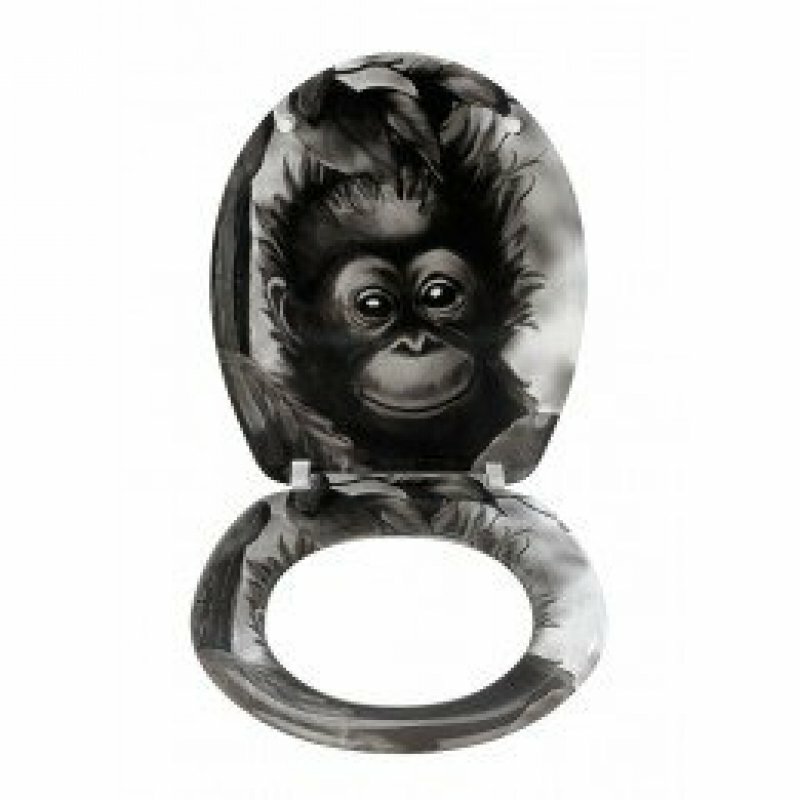 The toilet seat features a charming black and white image of a baby monkey who seems to be giving a cheerful grin. The details with which the image is rendered bring beauty to a plumbing fixture that, while necessary, isn't usually known for being a decorative item. 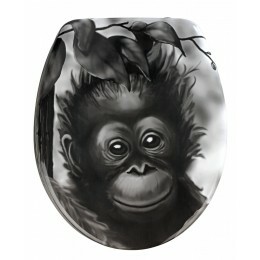 As a result, this toilet seat cover can change the entire look of a bathroom. The black and white color scheme will look at home among many palettes, making it a versatile piece for modern homes. A quirky addition to the guest bathroom and a fun find for the kids' bathroom, this toilet seat cover is of the absolute finest quality. The duroplast construction makes it highly resistant to wear and tear, and the hygienic ring included in the design is unbreakable. This is sure to come in handy in bathrooms where children are frequently using the facilities, as we all know kids may accidentally close the toilet too hard if they start "monkeying around."